It is any systems manager’s dream to be able to monitor his network perfectly from his monitor. He will need to check the function of all devices, the speed and strength of his network, any device where the internet is nor working or is slow and help the users of other devices if they have a problem. Any network monitoring software that can take care of all these from one system is going to be priced high. Small and medium companies may find it too high a price to pay to keep their network intact. What will these people do? 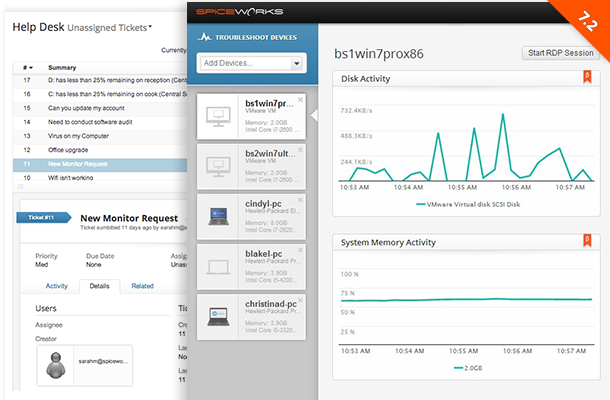 The Spiceworks network monitor is the answer. Is it priced low? No. It comes absolutely free. 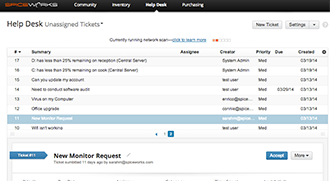 Spiceworks allows the IT manager to watch the whole network for problems and monitor individual devices from his workstation. Additionally, he can also access the devices and help the user to correct a problem, from his work station. Spiceworks can be installed easily. It comes with a web-based interface. 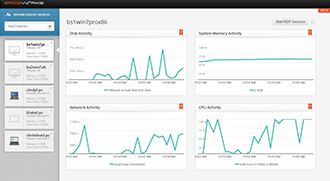 The admin can access the interface from any of the connected devices and monitor the network. 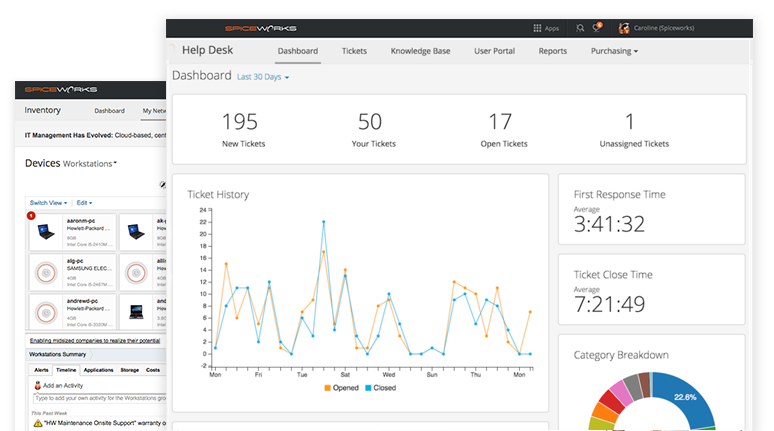 The reporting can be configured by the user and the help desk features is easy and useful. The software will alert the administrator whenever there is a problem with any device. This could be through a mail or other alarm system. There is also a provision to discontinue this feature. The software allows for scanning the network and knowing the IP addresses of connected devices and also to find if any of the devices is not connected. The administrator can get a customized report for each device. He can get real-time information on his servers, switches and IP devices which will help him take preemptive action. A salient feature is that, if a website is not reachable by you can check whether it is blocked for you or it is down. You can also check about your website. Another big advantage is that you get access to a vast community from where you can get solutions to your problems and advises on IT related matters. One of the main downside is that it is right now available only for Windows and not yet configured for Windows 10. One smaller negative is that the administrators interface will have advertisements running. Can’t really blame for free software. What do you think about Spiceworks Desktop?